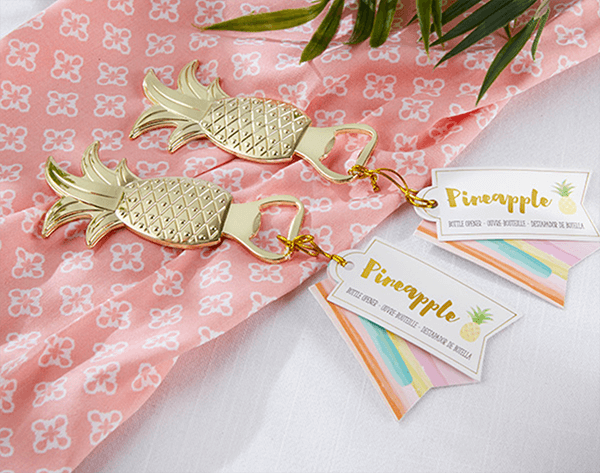 Create a lush, tropical, beachy and carefree atmosphere with these gorgeous gold pineapple bottle opener favours. 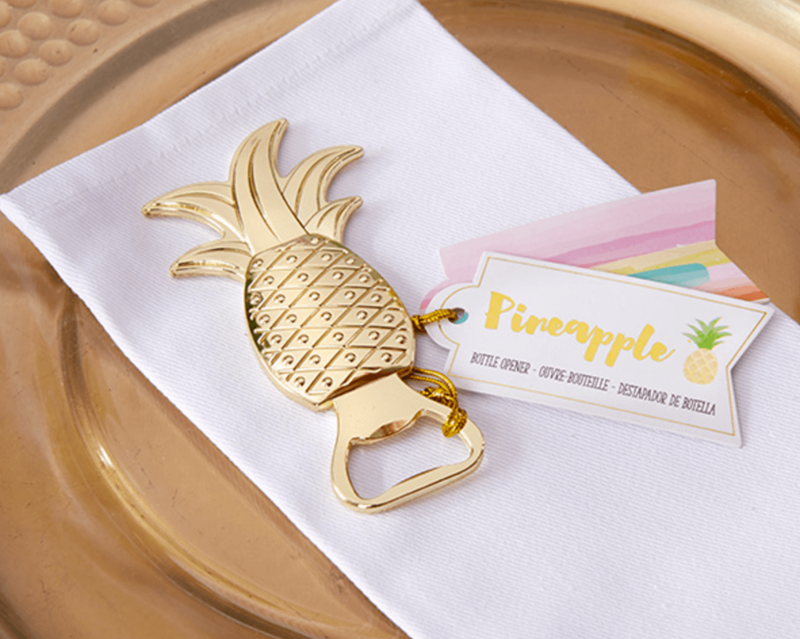 Featuring a shiny gold pineapple, this bright favour is sure to put a smile on your guest’s faces. 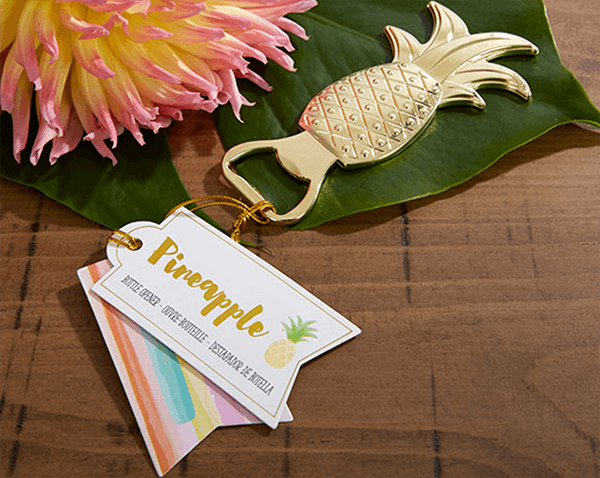 Perfect for a wedding, bridal shower, hens party, 21st birthday, 30th birthday, 40th birthday, 50th birthday and much, much more!